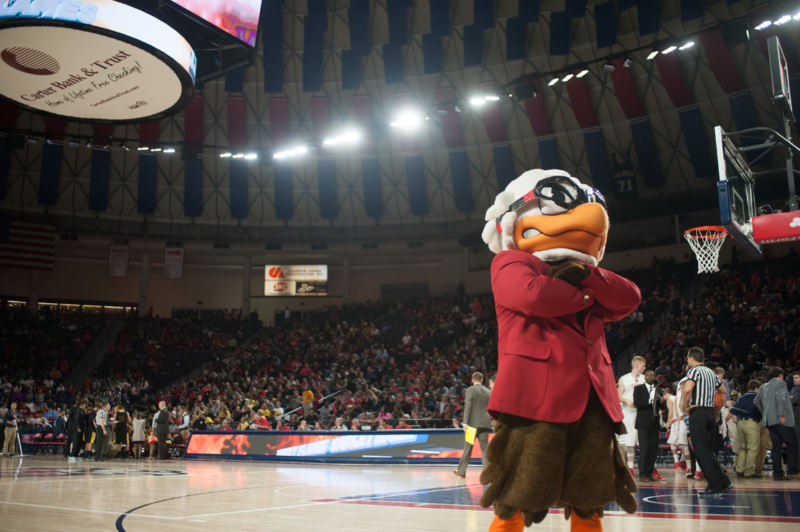 In the early signing period this past November, Coach McKay and staff signed three high school athletes in Josh Price, Darius McGhee, and Blake Preston. 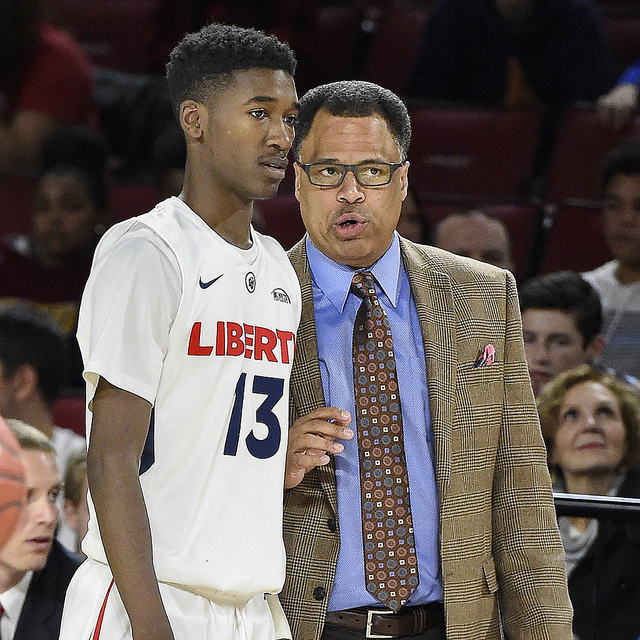 Now, with Isaiah Williams and Ezra Talbert transferring, the Flames have two open scholarships for the 2018-19 season. Prospective student-athletes can sign as early as April 11th. One high school prospect, who has flown under the radar, has received an offer from the Flames recently. David “Dew” Ware averaged 25.6 points and 13.4 rebounds for Caroline High School this past season. In addition to the Liberty offer, he also has an offer from Division II Virginia Union. VCU has shown heavy interest but wants him to go the post-graduate route for a season. Ware, a 6’4″ guard from just outside of Richmond, led Caroline in scoring and rebounding all 3 of his varsity seasons. He also scored 51 points in a game as a senior. He helped Caroline to a 20-4 record this past season as well as claiming the school’s first Battlefield District regular season and tournament titles since 2004 as he was named the Free Lance-Star boys basketball player of the year. Liberty has also been linked to Eastern Kentucky transfer Dedric Boyd. The 6’4″ guard averaged 13.2 points per game as a freshman for the Colonels and was a 3 star recruit out of high school with offers from Chattanooga, Florida Gulf Coast, Kennesaw Tech, Louisiana tech, Murray State, South Alabama, Tennessee Tech, Tennessee Martin, and Toledo. According to Evan Daniels of 247Sports, since announcing his intent to transfer, Boyd has heard from Colorado State, Marshall, Louisiana Tech, Nevada, Tulsa, Bradley, Wofford and Evansville. He would have to sit out one season before being eligible for 3. Another name to watch is graduate transfer Keenan Gumbs from Division III Schreiner University in Kerrville, Texas. This past season, Gumbs, a 6’4″ guard, led Schreiner to its first ever conference title, winning the SCAC tournament championship to advance to the NCAA Division III Tournament. Gumbs was named SCAC 2017-18 Player of the Year and earned the SCAC men’s basketball tournament MVP. He averaged 21.2 points and 7.3 rebounds per game while shooting 43.3% from 3. 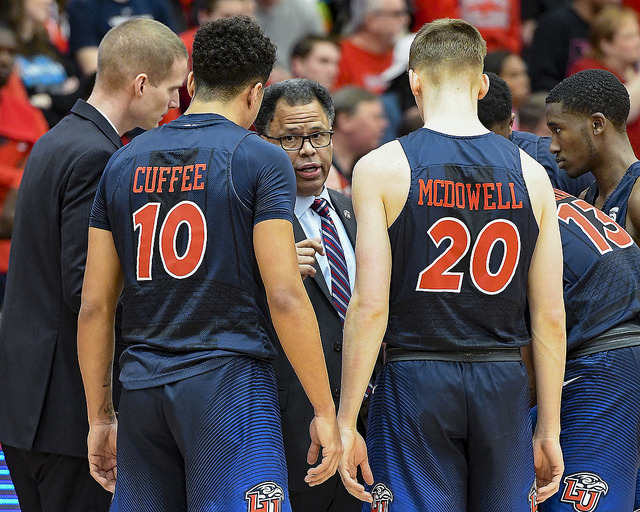 McKay will be busy over the next few weeks as he attempts to finalize the roster as well as find an assistant coach replacement for Vic Sfera.